When deciding on a commercial roofing material, there are a lot of factors to consider before narrowing down to one choice. Before choosing, one must look at the cost of the product, how it is rated for performance, and the application of the product (not all materials are right for all jobs). Here, we will examine five types of roofing materials to consider for commercial construction projects. Singe ply membrane is a rubberized material (combined with other synthetics) that can be laid in sheets then fastened mechanically or chemically adhered to the roof. This type of roofing has been utilized for quite some time, so it has a good track record and typically lasts up to 30 years. Most of this style features a Class A fire rating, as fire retardant materials are used in its production. Single-ply membranes usually cost between $3.50 and $7.50 per square foot, making it an economical option. 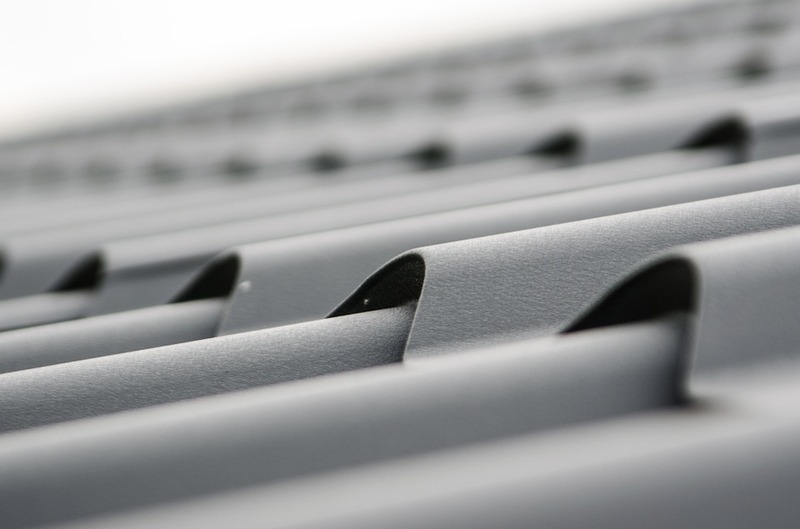 Metal roofing is quite durable, lasting up to 40 years. It is versatile in that it can be sprayed in different colors and can also have waterproofing or UV protectant added, to add to its durability. Metal is not prone to fire damage. Metal also holds up well in windy conditions and in colder climates. With that said, the cost of a typical commercial metal application can be between $5.00 and $10.00 per square foot – depending on the style of roof. While not the most popular for commercial applications, shingle roofs can be appropriate for a smaller building with steeper slopes. Shingles are far less durable than most commercial roofs, lasting between 15 and 20 years on average. The cost is representative of its lack in durability as it is only $2.50 or so per square foot. Built up roofing is also known as tar and gravel roofing. These systems are aptly named on both accounts, as tar and/or asphalt are alternated with fabric to “build up” the roofing material. Finally, gravel is added as the top layer. Built up roofs are very low maintenance and rarely leak due to the lack of seams in installation. On average, these systems will cost around $7.00 per square foot.